This unique umbrella stand has four compartments so that your umbrellas don't get all bunched up and make the piece unstable. Finished with a distressed metal look with a cut out design to give your home a chic look. The torque-like handle makes it incredibly easy to move. 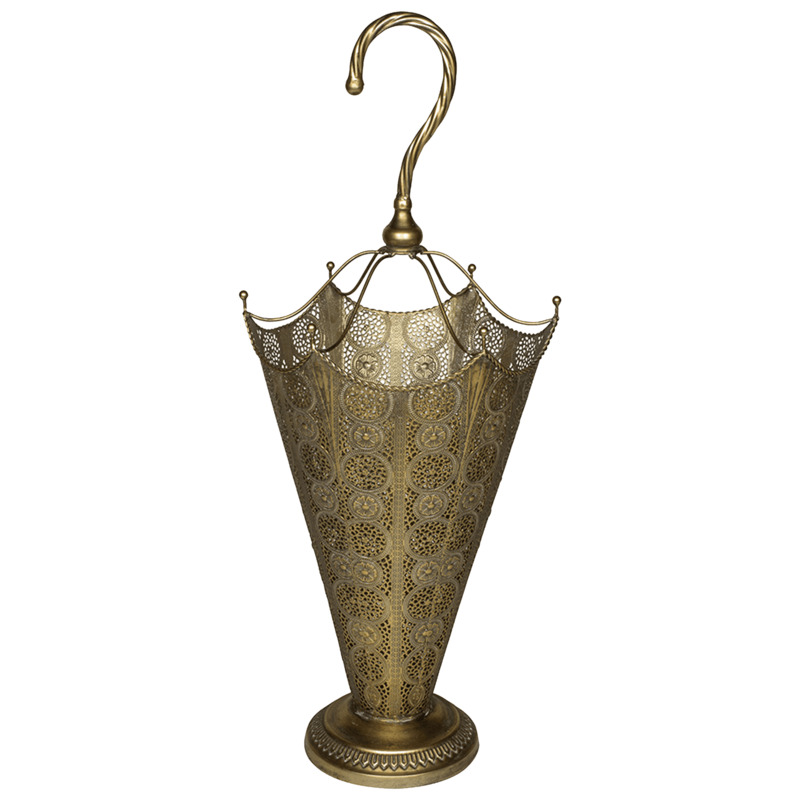 Crafted from metal, this umbrella stand will work wonders in any home.